DESERT SANDS UNIFIED SCHOOL DISTRICT. Administrative Law Judge June R. Lehrman, Office of Administrative Hearings, State of California, heard this matter in La Quinta, California, on January 18-19, 24, 26-27, 31, 2011, February 1 and 28, 2011, and March 1-2, 2011. Student’s mother (Mother) represented Student, and attended the hearing on all days. Karen Van Dijk, Attorney at Law, represented Desert Sands Unified School District (District). District Special Education Director Denise Magee and Program Specialist Catherine Bennett attended the hearing on all days. Student filed the request for due process (complaint) on October 15, 2010. District moved to continue the hearing, and the motion was granted for good cause on November 24, 2010. At hearing, the parties requested and were granted a continuance to file written closing arguments by March 16, 2011. District filed a written closing argument but Student did not. Upon receipt of District’s written closing argument, the record was closed and the matter was submitted. c. failing to provide a chair with rest needed for postural support and safety, listed on the IEP? 1 Issue Five was dismissed at the prehearing conference for lack of jurisdiction. 1. Student is a fourteen-year-old boy who has spastic dysplasia cerebral palsy, a condition that affects his lower-body muscles and extremities, and to a lesser degree, his upper body. His disability does not affect his cognitive functioning, but creates physical limitations. Although he can walk unaided, his balance is affected by his condition. He experiences falls, although infrequently. He must therefore exercise caution, and requires supervision by others, when walking or running, especially on hills, stairs or uneven surfaces. He requires assistance with lifting, carrying and reaching. His physical limitations are exacerbated by fatigue such that he has “good days” and “bad days” which occur at unpredictable intervals. He cannot lift his legs high, and depending on his fatigue level, he may drag his feet. He has difficulty with his hands such that he has difficulty writing, as his hands tire easily. He experiences problems with his vision, resulting in eye strain and fatigue. He nevertheless enjoys sports and can play basketball, walk, jog, run, dance, and hit a softball in his own way. He enjoys physical education class and is an active participant in it. 2. Prior to moving into the District in summer 2009, Student resided in a neighboring district, Coachella Valley Unified School District (Coachella). 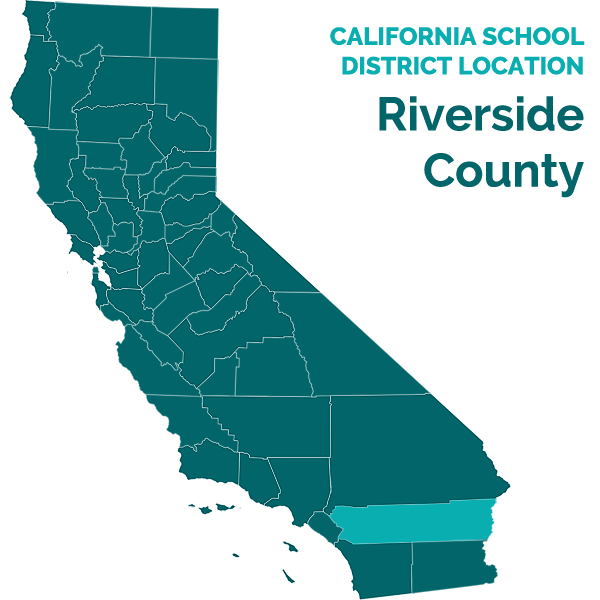 District and Coachella are both within the Riverside County Special Education Plan Area (SELPA). For purposes of this due process matter, the first relevant Coachella IEP was Student’s fifth-grade IEP, dated March 23, 2007. Mother consented to that IEP. In the Coachella IEP, the team listed “orthopedic impairment” as Student’s sole eligibility category. 3. The Coachella IEP included Student’s present levels of academic achievement and functional performance. Specifically, the Coachella IEP stated that Student attended a regular education classroom, but was restricted at recess and lunch breaks because of his cerebral palsy. In addition, the Coachella IEP noted that Student required supervision for his safety during recess, lunch, and during other periods of transition. 4. The Coachella IEP offered the following special education, related services, supplementary aides and services, program modifications and accommodations: (1) placement in general education 86% of the school day; (2) RSP services for 35 minutes per day provided in a collaboration/consultation pull-out model; and (3) adaptive physical education (APE) twice a week for 30 minutes. 5. The IEP also offered 1:1 assistance described as a “special circumstances aide,” with services described in several different portions of the IEP. One portion stated this service would be provided for five days per week, six hours per day, while another portion stated that the special circumstances aide would be provided throughout the day. A third entry stated that Student would receive 1:1 assistance for “proximity support” in the classroom due to Student’s balance difficulties when standing. Also, the IEP noted that Student would receive an instructional assistant for scribe and written language support. 6. The Coachella IEP also offered “use of a stand for books, chair with rests.” The Notes portion of the IEP indicated that the IEP team also discussed ordering a chair with side rails for support. 7. The Coachella IEP referenced a laptop and voice activated software in the Notes, although it made no reference to these items elsewhere in the IEP. Specifically, the Notes stated that Coachella would introduce voice activated software in different settings to be used as needed, and that Coachella would be ordering a mouse for the laptop to facilitate Student’s use of the laptop. These Notes were referring to the unstated fact that, in the prior school year (2006-2007), Coachella had provided Student with a laptop computer with Alpha-smart and Dragon-speak software, and had provided some training on their use. 8. On April 12, 2007, the Coachella team amended the March 23, 2007, IEP with Mother’s consent. This amendment only addressed the role of the 1:1 aide. The amended IEP included an objective voiced by Mother that Student be fully independent once he began middle school. It included her statement that Student did not need to have someone sitting next to him the entire time. The amendment also mentioned Student’s propensity for falling, and stated that the 1:1 aide’s role was to ask Student if he was okay, and assess whether Student should get up on his own, or whether Student required assistance. The amendment did not include a requirement that the 1:1 aide stay in close proximity to Student to prevent his falls. 9. On October 22, 2007, the Coachella team amended the March 23, 2007, IEP again, changing Student’s placement from 86% to 100% general education. The October 22, 2007, amendment also included language defining the role of the 1:1 aide with regard to scribing. Specifically, the amendment stated that Student would take notes until unable to do so, when the 1:1 assistant would complete notes for him. 10. The October 22, 2007, amendment also changed the RSP services that had been offered in the March 23, 2007, IEP, from 35 minutes per day provided in a collaboration/consultation pull-out model, to one time per week for 40 minutes to be used for consultation and collaboration between the resource specialist, general education teacher and the 1:1 aide. 11. Mother was not satisfied with Coachella’s implementation of the March 23, 2007, IEP and amendments. Specifically, Mother considered Student’s training on the use of the laptop computer and voice activated software to be insufficient. In addition, Mother and Student were disappointed with the 1:1 aide’s scribing services, and with the aide’s inattention to Student’s safety, which Mother contended resulted in falls and injuries to Student. 12. However, Mother and Student were satisfied with the bookstand and chair Coachella provided. The bookstand was a sturdy wooden stand, which required the 1:1 aide to move it between Student’s different classrooms. The chair was a rolling chair with padding, a backrest and armrests that Student dragged with him from classroom to classroom. The chair did not fit underneath a normal student desk, so Coachella raised Student’s desks to make the chair fit underneath. 13. On March 13, 2008, Coachella convened an IEP meeting and made an offer of placement and services to which Mother did not consent. Subsequently, after returning to school from spring break, Student fell at school, which resulted in Student suffering from post-traumatic stress disorder. Thereafter, from April 2008 until August 2009, Mother and Coachella disagreed about Student’s educational needs, which resulted in Student’s not attending school during that time period. His last day attending a Coachella school was April 4, 2008. For part of the time from then until August 2009, he was home-schooled, and for part of it he attended a home-schooling charter school. Student then moved into District in or around August 2009. 14. On August 28, 2009, and August 31, 2009, District personnel and Mother participated in interim placement meetings, at which District agreed to provide Student with the same placement, services, accommodations, and modifications as the March 23, 2007, Coachella IEP and amendments, for 30 days until an Interim IEP was developed. The Interim Placement Form specifically provided a special circumstances aide every day for six hours. In response to Mother’s expressions of concerns about the duration of 1:1 daily assistance, District personnel clarified that the six hours referred to the type of position that District needed to fill, but because the school day was in excess of six hours, District would provide coverage for the entire school day. District explained that coverage in excess of six hours would likely require different personnel shifts. District noted in the Interim IEP that it would provide Student with aide support throughout the entire school day. In addition, the interim IEP specifically provided APE twice a week for 30 minutes and RSP services once a week for 40 minutes. Finally, the Interim IEP incorporated the Coachella IEP documents as attachments. The Interim IEP made no specific mention of a bookstand, laptop, mouse, software, or seating. Mother consented to the Interim IEP. 15. Student entered District’s middle school at its Desert Ridge Academy (DRA) campus, and though he completed 2009-2010 school year there, his attendance records reflected extensive absences. During the 2009-2010 school year, District provided, pursuant to the Interim IEP, 1:1 aide services for the full school day. The 1:1 aide was Grace Millan, who was replaced by a new aide in March 2010. 16. District also provided RSP services in the general education classroom pursuant to the Interim IEP. Myra Korte, a Behavior Specialist for District, served as Student’s RSP teacher during the 2009-2010 school year. She worked with Student inside his general education algebra classroom. However, Student disliked the RSP services, as he felt pressured by the RSP teacher, the 1:1 aide, and his algebra teacher, Mrs. Rivera, to work in the RSP room instead of in the general education classroom. 17. The IEP team planned to reconvene on or around September 28, 2009, after District conducted assessments on Student. Although Student’s triennial IEP was not due until March 2010, the team discussed the possibility of holding the triennial IEP sooner, after the completion of the assessments. 18. On or around September 3, 2009, Mother signed an assessment plan that provided for testing in the following areas: (1) academic achievement; (2) social, adaptive, behavioral, and emotional development; (3) processing; (4) perceptual and motor development; (5) adaptive physical education; (6) communication development; (7) cognitive development; (8) health and development; (9) assistive technology; (10) occupational therapy; and (11) 1:1 aide assistance. 19. On September 21, 2009, District Occupational Therapist Julie Lee conducted an OT assessment. Ms. Lee obtained a bachelor of science degree in OT from Loma Linda University School of Allied Health in 1996. She is licensed by the OT Association of California and the National OT Certification Board. She has worked with District as a pediatric occupational therapist since 2006. She worked as an occupational therapist with the Veteran’s Administration and in private industry. Prior to receiving her OT training, she taught preschool. In addition to her work with District, she has a clinical practice treating acute orthopedic and neurologically impaired patients at Eisenhower Medical Center in Rancho Mirage. 20. Ms. Lee, who provided testimony at hearing, did not use any formal assessment tools. She explained that an OT assessment is accomplished through observation, and does not require formal assessment tools. Ms. Lee assessed Student for one 30-minute session, at his school during his science class. Ms. Lee entered the classroom, observed Student, and introduced herself to the science teacher. Pursuant to her request, Student’s 1:1 aide provided samples of Student’s work. Ms. Lee then asked Student to follow her outside the classroom, where she observed him performing physical tasks such as jumping, bouncing a ball, and hopping. Ms. Lee also tested Student’s ocular motor skills by having him track movements with his eyes. 21. Ms. Lee reported the assessment results in a two-page report dated September 21, 2009. The report included Student’s sensory motor foundations including his tactile and ocular motor function, and his gross motor skills including muscle tone, reflexes, motor planning, motor coordination, and ball skills. The report also included Student’s fine motor skills including grasp pattern, visual motor skills including pencil grasp, printing skills, scissor skills, and functional skills. The printing skills portion of the visual motor results were derived from one formal instrument, the Beery VMI Test of Visual Motor Integration, that had been performed by a different District occupational therapist, Anna Melendez. 22. Ms. Lee’s report did not address Student’s needs in the area of seating or furniture. Ms. Lee did not observe Student anywhere other than in the science classroom. The report concluded with a summary that recommended a tape recorder for writing assignments and a scribe for classroom notes, followed by highlighter review. Ms. Lee also concluded that Student might benefit from a word prediction software program. 23. The report did not indicate that the assessment was unable to be concluded, did not label itself as a draft and did not indicate it was incomplete. 24. Student felt embarrassed by the manner in which Ms. Lee conducted the assessment. He felt that Ms. Lee did not respect his privacy when she entered the science classroom unannounced, and interrupted his work to take him outside for the assessment. He felt that she distracted the other students. He also felt that it was embarrassing to be tested right outside the classroom, where he felt other students could see him. He felt that she rudely grabbed his backpack to see work samples and rudely asked him to write his name on a piece of paper. He was also bothered by the fact that Ms. Lee did not ask him about his experience, impairments or his needs. Student reported his experience to Mother who, on September 22, 2009, requested that assessments be performed before or after school hours so as not to embarrass Student. 25. At hearing, Ms. Lee acknowledged that her schedule did not permit her to make appointments ahead of time, that she had to fit assessments in when her schedule permitted, and that her practice was to come into classrooms without prior warning. However, she denied that her assessment interrupted the classroom, or was visible to any other students. The area she chose to conduct the assessment was right outside the science class, and was not visible except to a few of the students in the room. She preferred that location over other locations, as it was close to the classroom and shaded from the sun. At hearing, the science teacher did not recall his classroom being disrupted by this assessment. 26. At hearing, Ms. Lee explained that her OT assessment was not complete, because her observations of Student had been minimal and did not include different school or classroom environments. She explained that she hoped to get an offer of services in place at the upcoming IEP meeting, get services started, and then experiment with them as she got to know Student and his needs better over time. For one example, she hoped to offer voice-activated software at the IEP meeting, and then explore the available options afterward. 27. On September 21, 2009, the same date as her OT assessment, Ms. Lee also conducted an AT assessment. At hearing she explained that her AT assessment consisted only of a review of documents, and involved no actual testing performed on Student. The date on her report was therefore approximate. 28. Ms. Lee had no AT credentials. Her only training in AT was part of her college coursework. Ms. Lee used a single AT assessment tool, the Wisconsin Assistive Technology Initiative (WATI). The WATI was a questionnaire about Student’s abilities to be completed by the assessor using information from Student, his teachers, and relevant documents. Ms. Lee interviewed Student’s current teachers and reviewed his IEPs from Coachella. She did not interview Student. 29. Ms. Lee selected only certain portions of the WATI pertaining to the following areas of need: (1) fine motor related to computer or device access; (2) motor aspects of writing; (3) composing written material; (4) communication; and (5) mobility. At hearing she was unable to explain why she chose these portions, but omitted other portions of the WATI. Specifically, Ms. Lee omitted portions of the WATI related to reading, learning and studying, math, recreation and leisure, seating and positioning, vision, and hearing. Ms. Lee could not explain whether these omitted portions could have addressed Student’s needs, particularly in the area of seating. 30. Ms. Lee completed a number of items on the WATI based on information set forth in the Coachella IEPs, without independent verification. For example, she presumed that Student had actually used a bookstand, computer, Dragon-speak and Alpha-smart voice recognition software without having any information about the actual implementation of those IEP items at Coachella. In addition, Ms. Lee included information on the WATI that did not pertain to Student specifically, but came from assumptions she made from having worked with other children with cerebral palsy. Specifically, Ms. Lee completed WATI questions relating to “keyboarding ability” and “isolation of individual finger movements” from her knowledge of cerebral palsy in general, and not because she had any independent information pertaining to Student. Ms. Lee also indicated on the WATI that Student wrote independently, but she had never witnessed Student writing independently. At hearing, Ms. Lee explained that she assumed Student wrote independently based on the work samples she reviewed. Finally, Ms. Lee stated on the WATI that Student was fatigued, based only on her one observation of him in science class. 31. Ms. Lee reached conclusions and made the following recommendations: (1) use of voice recognition software; (2) continued use of Student’s current assistive technology devices and accommodations; (3) consider preferred seating near the center of the classroom due to Student’s physical limitations; (4) softer lighting; (5) use of a tape recorder for lengthy assignments; (6) consider using word prediction software to decrease typing time; (7) consider asking Student to highlight notes taken by Student’s scribe; and (8) consider use of audio texts. Ms. Lee’s AT report included no language stating that the assessment was incomplete. 32. On September 22, 2009, Mother and District orally agreed to waive the 30-day IEP meeting initially scheduled for September 28, 2009, in order to provide sufficient time for the completion of all assessments. District sent a document confirming this extension but Mother did not sign it. District became concerned that without a written extension it might be in violation of the legal requirement to hold an IEP meeting within sixty days of the September 3, 2009, assessment plan. Therefore on October 1, 2009, District scheduled and sent notice of an IEP meeting set for October 21, 2009. 33. On or around October 5, 2009, Mother expressed concerns to District School Psychologist Brenton Farrand that the ongoing testing was making Student anxious. She asked Mr. Farrand if, rather than a full battery of testing and a triennial IEP, which was not actually due until March 2010, District could proceed with more limited testing and a “regular” IEP. 35. Thereafter, internal District communications from Mr. Farrand dated October 8, 2009, established that District also considered perceptual and motor development, as well as social, adaptive, behavioral, and emotional development testing to be unnecessary. Thus, Mr. Farrand believed that an IEP could be convened and Student’s needs addressed with assessments only in the areas of academic achievement, assistive technology, health and development, and 1:1 aide assistance. Mr. Farrand assumed that a full battery of assessments would be completed prior to the triennial due the following March, and believed District could proceed to an annual IEP based on more limited information. 36. On October 8, 2009, District Behavior Specialist, Dale Aldrich, conducted a “Related Services Instructional Assistant” assessment, and generated a written assessment report dated October 12, 2009. “Related Services Instructional Assistant” (RSIA) was a term for a 1:1 aide. This was a change in terminology from the prior “special circumstances aide” verbiage which had been used while Student was at Coachella, however both referred to the same type of services. 37. Ms. Aldrich was qualified to conduct the 1:1 aide assessment. She had a Clear Resource Specialist Certificate of Competence which authorized her to provide instruction and services to special education students, to provide information, assistance, consultation, resource information and materials to special education students and their parents, to coordinate special education services with general education through resource specialist programs, and to monitor students’ progress. In 1981, when she obtained her Clear Resource Specialist Certificate of Competence, she held the underlying Clear Specialist Instruction Credential, which was the precursor credential to the resource specialist credential. Her Clear Specialist Instruction Credential was renewed in 2006. She also held a Life Standard Elementary Teaching Credential, which authorized her to teach multiple subject matters in grades kindergarten through ninth grade. Ms. Aldrich had worked with special education students for 30 years. Her credentials qualified her to work with all mild to moderately handicapped students. 38. She assessed Student using Riverside County SELPA forms, including an observational evaluation form, a plan for paraprofessional support form, a fading documentation plan form, an intense needs checklist form, and a form entitled “Student Needs for Additional Support Rubric.” This form was generated by the SELPA to be used for all 1:1 aide services, which required the assessor to rate a student in the areas of health and personal care, behavior, instruction, and inclusion mainstreaming. Ms. Aldrich checked the most appropriate boxes for Student. The boxes she checked indicated that Student had mild or occasional health concerns, followed adult direction but occasionally required additional encouragement and prompts, and participated in groups at instructional level but may require additional prompts, cues or reinforcement. Ms. Aldrich also checked the box indicating that Student always required 1:1 staff in close proximity for direct instruction, safety, mobility or behavior monitoring. She also indicated that Student required 1:1 assistance to go to and from class 80% of the time, and required an adult to facilitate social interaction with peers and to remain in close proximity at all times. 39. Ms. Aldrich prepared a report dated October 12, 2009, that included her assessment results, and concluded that Student needed assistance for safety on campus due to issues related to Student’s mobility, fatigue, required assistance with carrying items, proximity, assistance with fine motor tasks, modifying class work, providing accommodations, and for direct instruction and support. Ms. Aldrich recommended a full time RSIA (i.e., 1:1 aide). The report included no language stating that the assessment was incomplete. 40. Student felt embarrassed by the manner in which Ms. Aldrich conducted the assessment. He felt that Ms. Aldrich did not respect his privacy, as she entered his algebra class unannounced. He felt that she distracted the teacher and the other students. He was also bothered by the fact that Ms. Aldrich did not ask him about his experience, impairments or his needs. 41. On September 23, 2009 and October 13, 2009, Student’s Case Manager, Resource Specialist Karen Flaherty, administered several, but not all, portions of the academic achievement assessments set forth on Student’s assessment plan. Ms. Flaherty has a bachelor’s degree in English, a master’s in special education, and a resource specialist Credential, as well as a teaching credential with 26 total years teaching experience, 14 of which have been in special education. 42. On September 23, 2009, Ms. Flaherty administered portions of the Woodcock-Johnson III Tests of Achievement (WJ III). She generated scores for Student in the areas of letter-word identification, calculation and applied problems, all of which showed him at, or near, grade level. She generated a score for him in passage comprehension which showed him below grade level. Because the writing portion of the WJ III became stressful for Student, Ms. Flaherty discontinued it, intending to proceed later with a non-standardized writing assessment. 43. On October 13, 2009, Ms. Flaherty administered portions of the Wechsler Individual Achievement Test, Second Edition (WIAT II). She generated scores for Student in the areas of reading, including word reading, reading comprehension and password decoding, and in the area of mathematics, including numerical operations and math reasoning. These scores showed him at, or near, grade in all areas scored except numerical operations. She did not complete or generate any scores for Student in the areas of written language, including spelling and written expression, or oral language, including listening comprehension and oral expression. 44. On October 14, 2009, Mother sent a letter withdrawing her consent to continuing assessments. In the letter, Mother stated various concerns regarding the assessments. Specifically, she complained about the close scheduling of the assessments, and that Student had been feeling overwhelmed with the assessments since October 5, when she asked Mr. Farrand to scale them back. 45. Consequently, Ms. Flaherty only scored the results of the portions that she had already administered, but did not complete her assessment nor generate a final written report. However, Ms. Flaherty concluded that her assessments, although incomplete, provided sufficient information to proceed to an IEP. She did not, however, consider her assessments comprehensive enough to accomplish a triennial IEP, which was not due until the following March. 46. At hearing, Student complained that during Ms. Flaherty’s assessment, he was forced to physically write out 60 sentences which fatigued his hands. This contention was denied by Ms. Flaherty at hearing, and was not borne out by the assessment protocols, which reflected only three sentences that Student had written as part of the WJ III. 47. On October 13, 2009, APE specialist Victor Jimenez conducted an APE assessment. Mr. Jimenez, who testified at hearing, has been employed by District since 2007. He received his bachelor of science degree in kinesthesiology from California State University, San Bernardino in 2006. He received his Preliminary Single Subject Teaching Credential, and his Clear APE Specialist Credential, in 2007. Mr. Jimenez was familiar with Student, as he had been Student’s APE service provider since August 2009. 48. Before the assessment, Student had experienced some falls and incidents in PE class. On September 30, 2009, he was hit by a soccer ball, had some difficulty getting up, and was helped up by another student. Mother reported this incident and complained that neither Student’s 1:1 aide, nor the PE teacher Robert Rojo were nearby. And, earlier on October 13, 2009, the same day as the APE assessment, he was accidentally bumped by some other boys as he walked into the boys’ locker room. Mr. Jimenez was not aware of these prior incidents. 49. Mr. Jimenez used an assessment instrument entitled the “Los Angeles APE Assessment,” which consisted of observing a student performing physical tasks that tested endurance, flexibility, balance, hand-eye coordination and object-motor control. Running a mile was part of the protocol for endurance testing. There was no other method to test endurance in the protocol; however, for orthopedically impaired students, an assessor could modify the test if the assessor determined a student was not capable of that task. 50. Mr. Jimenez conducted the assessment on the sports field. Although Mr. Jimenez felt that Student was capable of running the mile, he nevertheless modified the test by telling Student to do his best and to just jog, alternate running with walking, or to just walk. He did not require Student to run. As Student jogged and walked around the track, Mr. Jimenez and Student’s 1:1 aide stood on the sidelines of the sports field. The farthest away they were from Student was approximately 200 feet, and they observed Student the entire time as he jogged and walked around the track. During the second lap, Student appeared to be in some discomfort. Mr. Jimenez noticed Student moving in a manner that suggested pain in his arm and shoulder. Mr. Jimenez approached Student to ask if he was okay. When Student indicated he was in pain, Mr. Jimenez immediately ceased the assessment, and after asking Student some further questions about his condition, escorted Student to the nurse’s office. 51. At hearing, Mr. Jimenez explained that as Student’s APE teacher through the 2009-2010 school year, he concluded that Student did not require proximity support to ensure his safety. In addition, the August 28, 2009, Interim IEP did not require Student to receive proximity support. 52. At hearing, Student’s recollection of the assessment was in stark contrast to the recollection of Mr. Jimenez. According to Student, Mr. Jimenez told Student that he had to run a mile, and insisted that Student do so. While doing so, Student fell, and hurt his shoulder. Mr. Jimenez and the 1:1 aide were not watching him, and did not see him fall because their view of him was obstructed. They did not help him up. Another student helped him up. After this, according to Student, he had to go to the “emergency room.” Although there was no documentation from any emergency room, Student did visit his primary care doctor that day. The doctor ordered an x-ray, but nothing in the doctor’s documentation mentioned a fall. 53. At hearing, Mr. Jimenez’s demeanor appeared calm and steady even in the face of the allegation that, during the assessment, he had permitted Student to fall unsupervised. At hearing, the 1:1 aide, Ms. Millan, recollected the events in accordance with Mr. Jimenez. 54. Mother’s email of the following day, October 14, 2009, withdrawing consent to the assessments, made no mention about Student falling during the APE assessment. 55. In the following days, District personnel, still unaware of any allegation that Student had fallen during the assessment, discussed Student’s arm and shoulder discomfort he experienced during Mr. Jimenez’s assessment, and concluded that Student’s pain was the result of his fall earlier that same day in the boys’ locker room. 56. Mr. Farrand, the school psychologist, was initially assigned to administer the assessments on the assessment plan in the areas of social, adaptive, behavioral, and emotional development, processing, perceptual and motor development, and cognitive development. 57. Mr. Farrand, who testified at hearing, received a bachelor’s degree in 1976 and a master’s degree in psychology in 1978, both from California State University Long Beach. He received a master of science degree in Psychology from the University of Southern California in 1981. He has been credentialed as a California school psychologist since 1981 and has worked for District since then. He has been evaluating children for 30 years. 58. Mr. Farrand elected to administer the following social and emotional assessments: (1) Behavior Assessment System for Children (BASC); (2) Conners Rating Scales (Conners); and (3) Roberts Apperception Test for Children (RATC). He planned to administer the following processing and perceptual development assessments: (1) Test of Visual Perceptual Skills, Third Edition (TVPS III); (2) Test of Auditory Processing, Third Edition (TAPS III); and (3) Developmental Test of Visual-Motor Integration (VMI). In the area of cognitive functioning, he planned to administer the Wechsler Intelligence Scale for Children, Fourth Edition (WISC IV). 59. After October 5, 2009, when Mother requested that the assessments be scaled back, Mr. Farrand told District personnel that none of the portions of the assessment plan he was assigned to administer were absolutely necessary. He nevertheless continued to operate under the hope that he could accomplish the social and emotional assessments. At hearing, Mr. Farrand explained that when faced with anxiety from students or parents, his practice was to continually try to allay fears, explain the process, and build rapport. If he could not lessen anxiety sufficiently to allow testing, his practice was to try to glean information by using rating scales filled out by parents and teachers, and by observing students. 60. Between October 7 and October 14, 2009, Mr. Farrand tried to complete the BASC. The BASC consisted of questionnaires Mr. Farrand distributed to Student, Mother and teachers. In order to complete the BASC, Mr. Farrand required receipt of the completed questionnaires, and needed to conduct a projective test with Student. Mr. Farrand scheduled a testing appointment with Mother and Student for October 14, 2009. However, at the October 14 appointment, Mother reported to Mr. Farrand that Student was too upset to complete the testing. Mr. Farrand treated this as revocation of consent, and discontinued his attempts to assess Student. 62. On October 16, 2009, pursuant to Mother’s request, District transmitted to Mother copies of the RSIA, AT, and OT assessments. In the cover letter accompanying the transmittal, Special Education Program Specialist Cathy Bennett indicated nothing about these assessments being incomplete. 63. With Mother’s consent, School Nurse Norma Rojo conducted a vision screening test on or around October 16, 2009. 64. Norma Rojo received her A.A. in nursing in 1978 and a bachelor of science in nursing from California State University San Bernardino in 1991. She obtained a health services credential from San Diego Sate University in 1997 and a master of education with a concentration in school nursing in 2007. She has worked with District since 2001. 65. She administered a test designed to assess Student’s distance vision. The distance from Student to the light-box screen containing the standard letter-recognition chart was ten feet, measured with a cord. Testing protocol permitted Nurse Rojo to conduct the test at either ten or 20 feet intervals. At hearing, Nurse Rojo testified credibly that she performed her screening in accordance with best practices. Her screening results found that Student had 20/30 vision in both eyes. This was passing for a school screening, and not considered a significant visual impairment. Nurse Rojo noted her observations that Student’s right eye turned outward, a condition known as strabismus, and that when Student tried to focus he turned his head slightly to compensate for the strabismus. 66. Pursuant to the screening, and at Nurse Rojo’s suggestion, Mother made an appointment with an ophthalmologist, however the results were not available to the IEP team that met on team on October 21, 2009. 67. At hearing, Nurse Rojo explained that the normal course of events when District has reason to suspect that a student may have vision issues, is for the IEP team to recommend a vision assessment, and then to consider the results of that assessment, as well as the educational recommendations of the District’s staff vision specialist who conducted the assessment. She further explained that eligibility categories are IEP team determinations, based on assessments. 68. On October 21, 2009, the IEP team met. Mother was present for the meeting as were all of Student’s assessors, a general education teacher, the school principal, Ms. Bennett (program specialist), and Special Education Director, Ms. Magee. Also in attendance were District Inclusion Specialist Stan Purden, and Student’s private psychologist Dr. Daniel Watson. 71. Myra Korte, District Behavior Specialist who served as Student’ RSP teacher during the 2009-2010 school year, drafted the math PLOP in collaboration with Student’s algebra teacher, Mrs. Rivera. At hearing, Ms. Korte acknowledged that the PLOP should have stated that the grids and graphs Student used were “enlarged,” because although Student could see normal-sized graphs, he could not write in the boxes without the use of a scribe. District did not provide enlarged paper until after October 25, 2009. 3 Student complains only about certain phrases within certain PLOPs. For ease of analysis, the words that are at issue are highlighted here. [Student] is currently under the care of a private psychologist and psychiatrist for Post Traumatic Stress Disorder from a fall which happened while [Student] was attending a school in [Coachella]. His parent reported that [Student] is anxious and does not like to be singled out for assessment or observation. [Student] appears to be a student who puts a great deal of importance in doing things properly and keeping up, and it causes him stress when he feels he can’t. He also doesn’t like to be singled out in class for things such as testing. Student misses school because of his stress. 75. At hearing, Nurse Rojo credibly defended the health PLOP, stating that it was accurate when written. Student did pass his vision screening. Student was ambulatory unaided and she did observe him walking to the health office from his classroom without difficulty. Nurse Rojo acknowledged that Student had a scissor gait due to his inwardly rotated feet. She also acknowledged that he had good days and bad days, and she may have observed him on a good day. 76. The IEP also contained goals, including goals in the areas of vocational skills, gross and fine motor skills, and writing. The vocational goal (Goal Number 1) recommended that Student should demonstrate self-advocacy by identifying assignments that needed to be modified, selecting an appropriate modification/accommodation strategy, and asking the teacher /RSIA for help to create and provide that modification. The baseline for this goal stated that Student preferred to be self-sufficient, did not ask for help, and resisted using modifications and accommodation when suggested by others. 77. District personnel felt that Student did not speak up about difficulties he was having in class, but instead complained to Mother who then reported his complaints to District. As such, Mr. Farrand (school psychologist) felt this goal was appropriate because Student was not completing assignments. Student’s case manager, Ms. Flaherty, felt that since Student’s needs varied depending on how fatigued he felt on any given day, this goal was appropriate, so he could advocate for his needs on a day-by-day basis. Student’s private psychologist Dr. Watson, who attended the IEP, was supportive of this goal, and felt it would be helpful for Student to assist and direct his teacher and communicate his needs. 78. APE teacher, Mr. Jimenez, prepared gross and fine motor development goals (Goal Numbers 2 and 3), which recommended that Student hit backhand and forehand tennis balls, travel combining various travelling patterns, changing speeds and directions, and included transitioning from a running gait to a jumping pattern, from a running pattern to a sliding pattern, and from a running gait into a gallop. Mr. Jimenez believed that these goals were realistic for Student, given his observations of Student since August 2009, while providing APE services, and during the October 13, 2009, assessment. Mr. Jimenez explained that balance and coordination were part of these goals, as they required Student to learn a “good stable stance.” Mr. Jimenez opined that it was reasonable to expect Student to progress from running to jumping to sliding to galloping. Mr. Jimenez felt Student could “absolutely” accomplish these goals within the year. 79. Dr. Watson, on the other hand, opined from his observations of Student that these gross and fine motor development goals were dangerous and unrealistic. However, Dr. Watson, a psychologist, established no expert credentials or experience to render an opinion regarding Student’s physical capabilities, nor had he conducted any formal assessments of Student. 80. The IEP also included a writing goal (Goal Number 5) prepared by Linda Martin, Student’s language arts teacher, to complete an expository essay of 500-700 words, with multiple paragraphs, with a thesis statement and supporting details. This writing goal was a grade level composition goal tied to state curriculum standards for 8th grade. In Ms. Martin’s opinion it was appropriate for Student, whose only difficulties were with the physical formation of letters, not content or concept. Although the IEP did not specifically so state, the IEP team discussed that Student would be able to use his scribe to physically write Student’s dictated essays. 81. In pertinent part, the October 21, 2009, IEP included an offer of placement in the general education class with supplemental aids and services. Specifically, the IEP provided additional time for completing writing assignments; highlighter, marker or manipulative pen or place holder; graph paper for math; scribe services for notes as needed; preferential seating on perimeter of student desk/rows; graphs/charts on selected teacher activities; test questions to be read aloud; dictation of answers to scribe; reduced/modified class and homework; a laptop; and software to facilitate text access. 82. The IEP also provided specialized academic instruction once a day for 45 minutes. This service was not further described in the IEP, however at the IEP meeting, as well as at hearing, District explained that it contemplated continuing the same RSP services that were already being provided inside the general education classroom. This service was delineated in the IEP as a “Service 330 INST: Specialized Academic Instruction,” and listed the special education teacher as the provider. This nomenclature referred to RSP teacher, and services in the regular classroom. This service was intended to be a collaboration between the RSP teacher, general education algebra teacher and 1:1 aide regarding Student’s needs and modification of workload, homework and assignments. Per District RSP teacher Ms. Korte, this was an offer that was sufficient to ensure that Student’s modifications and accommodations would be implemented by his teachers, and was not a pull-out service. 83. The IEP provided 1:1 services (RSIA) to assist with Student’s needs at school, including scribing, mobility assistance and safety. This service was delineated in the IEP as a “Service 340 INST: Intensive Individual Instruction,” and listed RSIA as the provider in the regular classroom, every day for six hours. The code 340 was a SELPA code for para-educator services. District personnel were only familiar with code 340 to authorize and obtain funding for 1:1 aide services. At hearing, Mother presented a printout she had obtained from a California Department of Education website containing other numerical descriptions for “note taking” services (750), “reader services” (745) and “health and nursing” (436). District administrators were not familiar with these numerical descriptions. With regard to duration, although one portion of the IEP offered the 1:1 aide for six hours per day, elsewhere in the IEP District committed to provide full-day support for the duration of the school day, even if longer than six hours. As had been the case in the August 28, 2009, Interim IEP, the six-hour per day verbiage referred to District’s need to fill a six-hour personnel position. The notes of the IEP made District’s commitment clear by stating: “Mom wanted to clarify that [Student] will be covered for his entire school day from curb to curb. District will provide para-educator coverage for [Student’s] entire school day.” Due to personnel restrictions, District’s commitment to provide full coverage to Student might have to be fulfilled with two different personnel, one for six hours and one for the remainder of the school day. 84. The IEP provided for inclusion specialist services to assist in the identification of classroom accommodations, staff support in providing accommodations and training for AT. This service was delineated in the IEP as a “Service 330 INST: Specialized Academic Instruction,” and listed the inclusion specialist and occupational therapist as providers in the regular classroom, for 20 sessions per year, 30 minutes per session. The Code 330 indicated inclusion services. District personnel were familiar with a Code 445 indicating AT services, but did not use it. District coded its AT as an inclusion service. District personnel were familiar with a Code 450 indicating OT but did not use it on the IEP because this offer did not envision OT services, only collaboration between the occupational therapist and the inclusion specialist with regard to inclusion services. 85. The IEP also offered APE 60 times per year (i.e. twice per week) for 30 minutes each session, as recommended by Mr. Jimenez. 87. The IEP stated that no additional assessments were needed. However, the IEP notes reflected that Ms. Lee, who conducted the OT assessment, “shared the results of the portion of the assessment she was able to complete” and that she had “shared her desire to conduct a formal assessment.” The Notes of the IEP meeting were the first written indication of District’s position that the OT assessment was incomplete. 88. The IEP does not contain any entries regarding the completeness, or not, of the AT or RSIA assessments. 90. Regarding the APE assessment, the IEP notes reflected a discussion about whether Mr. Jimenez modified the protocol by allowing Student to walk or jog, but did not reflect any discussion about a fall during the APE assessment. 92. Inclusion specialist Mr. Purden was tasked with getting all appropriate AT in place, and with doing any necessary training, planning and implementation, if Mother had consented to the portion of the IEP offering his services. He would have collaborated with the occupational therapist Ms. Lee in this endeavor. He would have been the person to test out different voice activated software programs such as Dragon-speak and Alpha-smart, or scan-and-read software, text-to-speech and speech-to-text software, and scanning and word-prediction programs. This offer of services was intended, after the implementation of laptop accommodations, to do a further AT assessment to determine appropriate software. According to Mr. Purden and Ms. Lee, assessment was an ongoing process. As District got to know a child and his needs, it would tweak and fine-tune its ongoing accommodations. According to Ms. Bennett, the offer of twenty sessions per year, or an average of two times per month, was sufficient to bunch the sessions up toward the beginning of the year, so that Mr. Purden could implement and devise the plan first, and then do follow-up. 93. At hearing, Mr. Purden acknowledged no relevant training or expertise with respect to seating or specialized furniture needs, and explained that he would have collaborated with the occupational therapist to determine Student’s specialized seating or furniture needs, as part of the ongoing assessment process. 94. Ms. Magee took contemporaneous IEP notes. The notes did not indicate any objection by Mother to the PLOPs or the goals. The notes did indicate Mother’s comments regarding (1) the assessment process in general and its effect on Student; (2) the need for improved identification of AT and training in its use; (3) the academics portion of the assessments and whether that was appropriately modified for Student; (4) the OT assessment and whether it had addressed all of Student’s areas of need; (5) the APE assessment and whether that was appropriately modified for Student; (6) Student’s levels of stress and fatigue; (7) clarification regarding the duration of the 1:1 aide’s day; and (8) concerns regarding the verbiage of the RSIA assessment report. 96. At hearing, Ms. Magee acknowledged that the IEP meeting lasted five hours, and that the notes were not a verbatim transcript of everything that was said. But she credibly defended the accuracy of her contemporaneous note-taking. The offer of placement and services were stated in the notes in terms of affirmative commitments by District to take prescribed action. At hearing, Ms. Magee, Ms. Bennett and Ms. Flaherty confirmed that Mother did not dispute the PLOPs or the goals at the IEP meeting. Mother asserted the contrary, complaining that she did object, that the notes did not so reflect, and that she was cut-off midstream numerous times while trying to express her thoughts at the meeting. 97. The IEP team met again on November 19, 2009, December 16, 2009, and January 8, 2010. At the November 19, 2009, meeting, District proposed further assessments and services to be provided by the inclusion specialist. Mother refused to continue the meeting because the RSIA assessor, Ms. Aldrich was not present. 98. At the December 16, 2009, meeting, Mother presented an ophthalmologist note dated November 4, 2009, which stated Student had 20-40 vision in the left eye and 2080 in the right eye, and needed to wear glasses. At hearing, Nurse Rojo defended her vision screening even though it was inconsistent with this later ophthalmologist finding. Nurse Rojo credibly testified that it is common for patients with cerebral palsy to vary widely from day to day because of muscle fatigue. 99. The IEP also discussed the RSIA assessment at the December 16, 2009, meeting. Mother asked questions about Ms. Aldrich’s qualifications, and how many minutes she had spent doing her assessments. Mother continued to be concerned because the SELPA RSIA form involved behaviors which Student did not have. District personnel explained that the form was a technical necessity to qualify for the services. 100. Also at this December meeting, Mother requested an independent educational evaluation (IEE). The team met again on January 8, 2010. Thereafter, by letter dated February 2, 2010, District agreed to fund the IEE that Mother had requested. District’s letter listed the names of three psycho-educational assessors, two OT assessors, and one AT assessor, stating that these individuals had been determined qualified in their respective areas according to SELPA guidelines. District’s letter stated that SELPA guidelines required the IEE provider to be located within a 60-mile radius of the district. The IEE provider was also required to provide the district with a copy of their report at least five days prior to the IEP team meeting. The IEE report must contain all necessary assessment (including social/emotional and eligibility) sections, and include the evaluator’s name, title, license and/or certification number and original signature. Original assessment protocols were to be attached to the IEE report. Upon receipt of a complete report and completed assessment, District would pay a fee that was routine and reasonable for the IEE, similar to those performed by qualified professionals in the local area. Travel costs for evaluators or parents were not to exceed the district’s rates for travel as established by district guidelines. 101. District scheduled another IEP team meeting for February 5, 2010, but Mother informed District she would not attend. On February 11, 2010, District scheduled another IEP team meeting for March 5, 2010. Also on February 11, 2010, District sent Mother a request for consent to conduct assessments for the upcoming triennial IEP which was due in March. District proposed to assess Student in academics, social skills, processing, perception, health, OT and vision. However, Mother did not provide her consent. 102. Thereafter, Mother met with program specialist, Ms. Bennett, on February 17, 2010, to review the list of SELPA-approved IEE assessors. Mother disagreed with all of them, feeling that they were too closely aligned with District, and requested that the independent assessors be from outside the 60-mile radius. The discussions broke down at that point, and no IEEs were ever conducted. 103. On March 1, 2010, Mother sent an email refusing to attend any more IEP meetings. 104. Because Mother never consented to the October 21, 2009, proposed IEP, Student’s operative IEP from the time of his entry into District until the filing of the complaint was the August 28, 2009, Interim IEP which incorporated the March 23, 2007, Coachella IEP and amendments. 106. On September 11, 2009, Mother met with Ms. Bennett to discuss Student’s need for a bookstand. Ms. Bennett suggested an alternative that she felt was less intrusive than a bookstand, which was for Student to prop up his book on a stack of other books. Ms. Bennett considered that Student’s current educational needs would be assessed in the then-ongoing assessments, and that the bookstand in the previous IEP was based on outdated information, because that IEP was from 2007. Ms. Bennett believed Mother agreed. However, at hearing, Mother credibly contended that stacking books on top of other books would not have met Student’s need to read at eye level. 107. On October 5, 2009, Mother sent Ms. Flaherty an email raising various concerns, the first of which was “the immediate need for a bookstand.” Mother’s email stated that a bookstand was in Student’s Coachella IEP, but had not been provided since he had come into District. Ms. Bennett wrote back to Mother the following day, October 6, 2009, asking what type of bookstand Student had used in the past. On October 12, 2009, Mother showed Ms. Bennett a document holder that Student used at home for documents. Between October 12, 2009, and October 21, 2009, District provided Student with an identical item. District also provided Student with an alternative stand, a cookbook/recipe holder that had a Plexiglas cover that Ms. Bennett purchased at a housewares store. At the IEP meeting on October 21, 2009, the team considered and discussed bookstands, but made no specific offer. 108. From then until the December 16, 2009, Mother made no documented complaints concerning the two bookstands that had been provided. At the IEP meeting of December 16, 2009, and during a January 4, 2010, meeting with School Principal Dan Borgen, Mother expressed discontent with the first and second bookstands that District had provided. Her complaint regarding the first stand was that it was just a document holder and was unable to bear the weight of books. Her complaint about the second holder was that the Plexiglas cover did not permit Student to turn pages. 109. On or about January 18, 2010, District provided a third bookstand to Student. This one had prongs to hold pages rather than a Plexiglas cover. On February 4, 2010, Mother complained that Student was unable to use this stand independently because the prongs made it difficult for him. In addition, this bookstand fell over once in language arts class, made a loud noise and embarrassed Student. 110. Student moved from middle school to Shadow Hills High School (SHHS) for the 2010-2011 school year, and matriculated there for approximately two months prior to the filing of the complaint. All three bookstands he had been provided at middle school were transported to SHHS and were available to him upon request from his 1:1 aide. 111. On or around October 10, 2010, after transitioning to SHHS, Student conducted a five-day “strike,” pursuant to which he announced that he would not return to school unless he was provided with an appropriate bookstand and a laptop computer. Mother requested an “emergency meeting,” and one was set for October 15, 2010. On that day, Mother filed the complaint. 112. Thereafter, internal discussions in the special education department led to the conclusion to provide Student with “whatever it took” to get him back to school. Thereafter, on October 20, 2010, District provided Student with a fourth bookstand that Ms. Magee obtained from an office supply store. Student then returned to school, but Mother immediately complained this bookstand was not sturdy. On November 7 or 8, 2010, District provided Student with a fifth bookstand. This bookstand was able to hold a large textbook, held the pages with prongs and was adjustable to any angle. However, Student was not able to use it without the assistance of his 1:1 aide. 113. At hearing, Mother demonstrated the use of this stand and during her demonstration a book fell off it. However Mother’s demonstration was not credible as she was clearly using the stand incorrectly by not placing the pages behind the prongs. At hearing, District Special Education Director Ms. Magee demonstrated the proper use of this stand and credibly demonstrated its ability to hold a large book. 114. In addition to a bookstand, the March 23, 2007, Coachella IEP provided for voice activated software, as well as a mouse to facilitate Student’s laptop use. District did not consider these items to a part of an offer of FAPE. Although Coachella had provided Student with a laptop computer and voice-activated software in the 2006-2007 school year, District was under the impression that the Coachella laptop was not offered in Student’s IEP, but were simply items available to the general education population there. Thus, District did not consider these items to be part of Student’s April 28, 2009, Interim IEP and did not provide them to Student when he entered District. 115. The October 21, 2009, proposed IEP offered a “laptop and software to facilitate text access” as part of its offer of supplemental aids and services. At a meeting on January 4, 2010, with principal Borgen, Mother raised the issue of a laptop computer. Mr. Borgen asked Mother to consent partially to the proposed October 21, 2009, IEP only insofar as it offered a laptop computer with software, but Mother did not do so. 116. Despite this lack of consent, District thereafter, in January 2010, provided Student with a laptop computer. The laptop computer District provided at that time was not given pursuant to any IEP but was available to the general education population. However, it crashed almost immediately. 117. After Student’s five-day “strike,” the “emergency meeting” on October 15, 2010, and the filing of the complaint, a laptop computer and voice activated software were provided to Student on or about October 20, 2010. 118. At hearing, Student opined that he could express himself more fully and be more independent using voice activated software than using a scribe, both inside and outside the classroom. He also expressed discontent with the scribes he was provided by District, complaining that they were slow, wrote illegibly and made faces at his requests. 119. At hearing, Ms. Bennett opined, on the other hand, that human scribing services were superior to voice activated software, for the following reasons: software is sensitive to background noise; the voice must be slow and deliberate and must include all punctuation; editing must be done using a mouse and cannot be accomplished contemporaneously; software could never take notes of a live classroom situation which would certainly require a human scribe. 120. Another accommodation in the March 23, 2007, Coachella IEP provided Student with a “chair with rests.” When Student entered District, there was no mention of Student’s seating needs at the August 28, 2009, and August 31, 2009, Interim Placement meetings. 121. On October 20, 2009, Mother visited the DRA campus. She requested that Student’s seat in algebra be changed so that he would sit facing the front. She also had concerns about the raised lab stool in science class, and requested a stool with a back and a foot rest. 122. There was discussion of seating at the October 21, 2009, IEP, which reflected that the team considered modified furniture, and the need for a raised stool with foot and back rest to use at lab tables during science. 123. Shortly after the IEP meeting, Student’s seat in algebra was moved to the front of the class, where he sat in the same type of chair and table as all other students; these regular student chairs had backrests and were attached to student tables. 124. On October 23, 2009, Mother met with Ms. Flaherty and the science teacher regarding Student’s stool in science class. Mother expressed concern over the lab stool, and asked for a stool with arms. It was agreed that, until the new stool could be purchased, Student would sit in a student chair at the teacher’s desk. 125. Student’s seat in science class was then moved to a regular student chair with backrest that was placed at the far end of the teacher’s L-shaped desk. At hearing, Mother raised several complaints regarding the arrangement in science class, firstly that it was oblique to the board and secondly that it was blocking an exit door. However all District witnesses credibly confirmed that neither Mother nor Student ever raised these complaints regarding the science class seating arrangement. 126. On October 25, 2009, District sent an email to all Student’s educators instructing that Student be allowed to sit near the front/center section of the classroom, due to poor vision in his left eye. 127. At the December 16, 2009, IEP meeting, Mother for the first time referenced the March 23, 2007, IEP’s statement about a “chair with rests,” and requested District to provide the same type of rolling chair that had previously been provided by Coachella. 128. The team also discussed Student’s stool in science class. Although the team at the October 21, 2009, IEP had discussed “the need for a [raised] stool with foot and back rest to use during science,” and although on October 23, 2009, Ms. Flaherty rearranged Student’s seating in science class until a stool with arms could be purchased, Ms. Lee at this December 16, 2009, meeting took the position that the current raised stool was appropriate because Student could lean against it. 129. On December 17, 2009, Ms. Bennett wrote to inclusion specialist Mr. Purden, asking him to “track down enough rolling chairs with arm rests [from empty classrooms, other campuses or the District warehouse] so we can have one in each of [Student’s] classes. Ms. Flaherty responded, in pertinent part, “How are we going to set up an executive chair in every classroom? Where will he sit? At his own table? At the teacher’s desk? Will too much attention be drawn to him? Looking forward to some solutions soon.” Mr. Purden asked the school warehouse manager to find whatever District already had available in the way of rolling arm chairs. At hearing, Mr. Purden testified that he hoped these would help Student. Later that day, the warehouse manager located three chairs which were delivered to the middle school the following day, Friday, December 18, 2009, during winter break. 130. On January 4, 2010, Mother met twice with principal Borgen to discuss Student’s seating. The rolling chairs that the warehouse had shipped over winter break were being placed into Student’s language arts and science classrooms. In science class, the lab table was too high for the rolling chair and the L-shaped teacher’s desk was too low. Principal Borgen undertook to search the campus for a lower lab table that would accommodate the rolling chair. He located a lower lab table and had it placed in the science room. Student elected to sit there, since it was placed in front of the board rather than obliquely off to one side. However the rolling chair still did not fit underneath, so Student sat at a regular student chair there. At the January 8, 2010, IEP meeting, Mother complained that from this new position Student was unable to see the board because teacher stacked papers too high and blocked Student’s sight. 131. On February 1, 2010, District sent a “prior written notice” rejecting the request for a raised stool with foot rest in science class. The document stated that District did not feel the raised stool was safe or appropriate. Instead, District recommended that Student use a regular classroom chair with a lowered science lab table. The document stated that the “Occupational Therapist has made this recommendation based on clinical observation and a full body functional assessment reviewing his strengths, weaknesses and range of motion within the school setting.” At hearing, Ms. Lee acknowledged that she had not performed any assessments other than her September 21, 2009, OT and AT assessments. She did not recognize the prior written notice document, and did not recall providing the information in it. 132. Dr. Daniel Watson has been Student’s treating psychologist since approximately the time Student entered District in August 2009. At the time of hearing he was treating Student twice monthly for anxiety and depression. He is a licensed psychologist with a bachelor’s degree in psychology, a master’s in psychology and a Ph.D. in educational psychology. Prior to serving as a licensed psychologist he served as a school psychologist and guidance counselor in various California school districts for 20 years, and has a total of 38 years of experience. 133. His information regarding District’s actions or inactions came from what Mother or Student told him. Student had expressed to Dr. Watson anxiety over the District’s assessments, especially the school psychologist Mr. Farrand’s, whom Student felt was too demanding. Student also expressed conflict with his 1:1 aide, whom Student felt was condescending. Student also discussed with Dr. Watson his frustrations over the lack of a sturdy bookstand and lack of a computer with voice activated software. 134. Dr. Watson acknowledged that he performed no formal assessments on Student, and that his opinion was solely from observation. His professional opinion was that Student liked to excel in school, was sensitive to failure, and tended to become depressed and anxious when he could not keep pace. Dr. Watson also opined that Student’s frustration over events at school was impacting Student’s mental health adversely. 6. Student contends that District denied him a FAPE by failing to appropriately assess him prior to the October 21, 2009, IEP in four areas: (1) 1:1 aide assistance (RSIA); (2) OT; (3) AT; and (4) functional and motor development. District contends that the assessments were incomplete due to Mother’s October 14, 2009, revocation of consent to assess, and argues that Mother’s revocation of consent absolved District of its responsibility to offer Student a FAPE. 12. To the extent District argues that Mother’s revocation of consent to the academics and social emotional assessments absolves it of the responsibility to offer FAPE, this argument fails as well. District consented to scaling back the assessments, and thought it could proceed with an annual IEP anyway. Mr. Farrand deemed the social emotional assessment unnecessary for the annual IEP. In addition, Karen Flaherty felt that the completed portions of the academic assessment provided sufficient information to proceed to the IEP meeting. Thus, District itself determined that it had sufficient information to proceed with an IEP and make an offer of FAPE. Given these factors, District cannot now reasonably argue that Mother’s revocation of consent relieved it of its obligation to provide Student with a FAPE. (Factual Findings 32-35; 45 and Legal Conclusions 1-5; 7-10) Accordingly, as discussed below, each of Student’s contentions regarding whether he was properly assessed must be analyzed by determining whether or not Student ultimately received a FAPE. 13. In Issue 1(a), Student contends that District’s 1:1 aide assessment was conducted by an unqualified, inexperienced and disrespectful assessor, who was a behavioral specialist with no knowledge of Student’s disability, impairments or physical needs. Student also contends that the assessment contained false, incorrect and misleading information, and that it was inaccurate regarding the dates and times assessments were conducted. The gravamen of Student’s complaint was that the 1:1 aide assessment was conducted by a behavior specialist even though Student’s needs were not behavioral, and that the assessment forms contained language relating to instruction and behavior that was not relevant to Student. District contends that Student has not met his burden of proving that the RSIA assessment was inappropriate. Moreover, District contends that even if procedurally flawed, the RSIA assessment did not impede Student’s right to a FAPE, impede parents’ opportunity to participate in the decision-making process regarding the provision of a FAPE, or cause a deprivation of educational benefits. 14. Legal Conclusions 7-10 above, reflecting the procedural requirements for assessments, and the standards applicable to determining whether a child was offered a FAPE are incorporated herein by reference. 17. Student contends that Ms. Lee conducted the OT assessment in an inappropriate and insensitive manner. Student also contends that Ms. Lee’s report inaccurately referenced a 30-minute assessment session that only took six minutes. Student further contends that although District’s OT and AT assessments both recommended voice activated software, the reports included inadequate recommendations with respect to its implementation. Finally, Student contends that the OT and AT assessments both failed to assess Student’s needs in the areas of seating and positioning, and failed to recommend proper modified furniture, such as appropriate chairs or bookstands. District contends that Student failed to meet his burden of proving that the assessments were improper, or that any alleged impropriety resulted in a deprivation of FAPE. 18. Legal Conclusions 7-10 above, reflecting the procedural requirements for assessments, and provision of a FAPE are incorporated herein by reference. 24. These errors and omissions led to a denial of FAPE when the October 21, 2009, IEP failed to make an offer with respect to seating, bookstands or other modified furniture. The IEP only stated that a bookstand and modified furniture were “considerations,” and the Notes only reflected some discussion of the need for a raised stool with foot and back rest to use during science (which was then revoked by the prior written notice dated February 1, 2010). There was no offer, which Ms. Magee would have recorded in her Notes, in terms of affirmative commitments by District to take prescribed action. Moreover, District would not have known what type of furniture to acquire, given the inadequacies of the assessments. Indeed, the evidence showed that during the 2009-2010 school year, District failed in its attempts to acquire appropriate bookstands, providing whatever was available from local shops. With respect to seating, District found whatever chairs and tables it could locate at the campus warehouse, hoped these would suffice, and continually reversed its own position with respect to its seating obligations. (Factual Findings 19-26; 27-31; 81-96; 105-131 and Legal Conclusions 1-5; 7-10; 19-20.). 25. The IEP’s provision of inclusion services, which was included for the purpose of further assessing Student’s needs, did not cure District’s failure to include an offer concerning seating, bookstands, and modified furniture, as it did not make the IEP’s offer any more concrete. In addition, the inclusion specialist, Mr. Purden, acknowledged that he had no expertise in the area of seating, bookstands, or modified furniture. (Factual Findings 81-96 and Legal Conclusions 1-5; 7-10; 19-20.). 27. In Issue 1(d), Student contends that the District’s functional/motor development assessment was conducted in an inappropriate manner. Specifically, Student argues that the assessment failed to include proper accommodations for his physical limitations, as well as adequate proximity support. Consequently, Student fell during the assessment, resulting in injury to Student. District contends that Student did not fall during the assessment, and that proximity support was not required to ensure Student’s safety during the assessment. 28. Legal Conclusions 7-10 above, reflecting the procedural requirements for assessments, and provision of a FAPE are incorporated herein by reference. 30. Student contends he was denied a FAPE because his eligibility category listed in the October 21, 2009, IEP did not include the eligibility category of “visual impairment.” District contends it was not on notice of Student’s visual impairments at the time of the October 21, 2009, IEP. District further contends that Student failed to demonstrate that any purported impropriety resulted in a deprivation of a FAPE. 31. As stated above in Legal Conclusion 5, an IEP is evaluated in light of information available at the time it was developed; it is not judged in hindsight. An IEP is a snapshot, not a retrospective. It must be evaluated in terms of what was objectively reasonable when the IEP was developed. 32. As stated above in Legal Conclusions 7-10, a student must be assessed in all areas of suspected disability including, if appropriate, vision. 37. Student contends that the IEP developed on October 21, 2009, failed to offer Student a FAPE because it: (1) contained an incomplete statement of the effect of Student’s disabilities on his education; (2) stated inaccurate PLOPs, inappropriate goals, and incorrect descriptions and service codes attached to offered services; (3) failed to describe the manner in which services would be implemented; and (4) failed to fully document Parent’s concerns. District contends that Student has not established any procedural flaws in the IEP, nor has Student established how any alleged flaws impeded Student’s right to a FAPE, impeded parents’ opportunity of the parents to participate in the decision-making process regarding the provision of a FAPE, or caused a deprivation of educational benefits. 43. As stated above in Legal Conclusion 10, the decision of a due process hearing officer shall be made on substantive grounds based on a determination of whether the child received a FAPE. In matters alleging a procedural violation, Student must also demonstrate that the violation impeded the right of the child to a FAPE; significantly impeded the opportunity of the parents to participate in the decision-making process regarding the provision of a FAPE; or caused a deprivation of educational benefits. 45. With respect to Issue 2(c) concerning the PLOPs, Student contends the math PLOP inaccurately stated that Student “use[s] grids and graphs to make comparisons,” arguing that the grids and graphs used in his classroom were too small. District acknowledges that it should have used the words “enlarged grids and graphs” in this PLOP, but contends that its failure to do so did not deny Student a FAPE. Student also contends the math PLOP made inaccurate statements about “participat[ion] in a classroom with general and special education teacher,” because Student was 100% mainstreamed in general education. District contends this PLOP correctly refers to the RSP collaboration services that were being implemented in Student’s algebra classroom. 46. Student further contends that the gross and fine motor development PLOP reported an inaccurate statement made by the occupational therapist Ms. Lee, that Student’s fine motor skills were only “slightly” impaired, when in fact they were greatly impaired in writing, cutting, tying shoes, flipping pages and keyboarding. Student further contends that the social-emotional and behavioral PLOP was inaccurate when it indicated that Student did not like to be singled out for tests or assessments and missed school due to stress. Student argues that his resistance to the assessments was because they were handled in an inappropriate manner. Lastly, Student contends that two portions of the health PLOP were inaccurate. First, Student contends that the PLOP incorrectly stated that he passed his vision screening. Second, he contends that the PLOP inaccurately stated he was “ambulatory, unaided.” District contends these PLOPs were accurate. 50. With respect to Issue 2(d), Student contends that Goal Number One in the vocational area of need was inaccurate by implying that Student resisted or refused modifications and accommodations, and inappropriately placed onto Student the burden to modify his own work. Student further contends that such a goal would not be workable in the classroom setting. Student also contends that Goals Number Two and Three in the gross and fine motor areas were too advanced and not realistic, given Student’s balance and coordination issues. Student also contends that Goal Number Five, the writing goal, was inappropriate because it did not explicitly state that Student’s delivery of a 500-700 word essay could be completed with scribe assistance. District contends the Goals were appropriate. 52. In regard to Issue 2(e), Student contends that the 1:1 aide service offered in the October 21, 2009, IEP denied him a FAPE because it designated the service as a “Service 340 INST: Intensive Individual Instruction.” Student contends this nomenclature was inappropriate because he had no cognitive impairments and did not require intensive instruction. Student contends that proper numerical codes for the services he did require would have been “note taking” services (750) for scribing, “reader services” (745) and “health and nursing” (436) for safety and mobility. Student further contends that the offer of inclusion services (coded in the IEP as “330: Specialized Academic Instruction) should have been coded to separate OT (code 445) and AT (code 450). District contends that it offered Student appropriate services and that the nomenclature was irrelevant to the FAPE inquiry. 54. In regard to Issue 2(f), Student contends that the IEP section regarding Supplementary Aids and Services did not include specifics on how the aids and services would be implemented in the classroom environment. Student particularly contends that District included no plan for implementation of scribe services, including how much extra time for assignments Student would receive, or what would happen if Student failed to finish an assignment. In addition, Student contends that District included no plan explaining whether Student would receive extra time during the school day or at home, and if at home, how the scribe services would be provided, and if during the school day, how would additional time be implemented. Student also contends that District failed to describe specifically in the IEP what scribe services “as needed” meant, or if the scribe was meant to be used for all academic subjects. Student also contends there was no plan for preferential seating or for chairs or stools in classrooms; and no plan with regard to training on laptop and voice activated software. District contends that implementation was to be the responsibility of the inclusion specialist who would conduct an assessment and implement Student’s supplementary services and assistive technology devices as part of an ongoing assessment process. 57. With respect to Issue 2(g), Mother contends that the Notes section of the IEP contains “false, inappropriate and misleading information” and that District “failed to document Student’s and Parent’s concerns and complaints along with important information in regards to Student’s special unique needs.” In particular, Mother contends the notes do not reflect her objections stated at the IEP meeting regarding the PLOPs and goals. Mother further contends that she was cut-off midstream numerous times while trying to express her thoughts at the meeting. District contends that the notes, while not a complete recitation of everything that was said, accurately reflect the substance of the discussion at the meeting. In particular, District contends that Mother did not dispute the PLOPs or the goals. 58. As stated above in Legal Conclusion 10, the decision of a due process hearing officer shall be made on substantive grounds based on a determination of whether the child received a FAPE. In matters alleging a procedural violation, Student must also demonstrate that the violation impeded the right of the child to a FAPE; significantly impeded the opportunity of the parents to participate in the decision-making process regarding the provision of a FAPE; or caused a deprivation of educational benefits. 59. As stated above in Legal Conclusion 42, only the information set forth in 20 United States Code section 1414(d)(1)(A)(i) must be included in the IEP and the required information need only be set forth once. 62. Student contends that the RSP services offered in the October 21, 2009, IEP were too restrictive for his needs. District contends that the IEP offered Student appropriate services. 67. Student contends that the October 21, 2009, IEP denied him a FAPE by offering insufficient frequency of OT, AT, APE and intensive individual instruction related service (the IEP nomenclature for 1:1 aide services). District contends it offered appropriate services. 68. As stated above in Legal Conclusion 1-5, in order to constitute a FAPE under the IDEA, a school district’s offer of educational services and/or placement must be designed to meet the student’s unique needs, comport with the student’s IEP, and be reasonably calculated to provide the pupil with some educational benefit. 69. As stated above in Legal Conclusions 19 and 38-43, the IEP must state the related services that will be provided to the student to enable him to advance toward attaining the annual goals, and to be involved in and make progress in the general education curriculum, and must include: a projected start date for services and modifications; and, the anticipated frequency, location and duration of services and modifications. 73. Student contends that he was denied a FAPE because District failed to implement the March 23, 2007, Coachella IEP and amendments by providing Student with a comparable bookstand, laptop, voice activated software, and seating. District contends that it complied with its obligations to implement the IEP. 75. As stated above in Legal Conclusions 1-5, a FAPE means special education and related services that are available to the child at no charge to the parent or guardian, meet state educational standards, and conform to the child’s IEP. For a school district’s offer of special education services to a disabled pupil to constitute a FAPE under the IDEA, a school district’s offer of educational services and/or placement must be designed to meet the student’s unique needs, comport with the student’s IEP, and be reasonably calculated to provide the pupil with some educational benefit in the LRE. 79. Student contends that between August 28, 2009, the date the team developed the interim IEP, and January 18, 2010, District was obligated to implement the Coachella IEP by providing Student with a comparable bookstand. District contends that it did, in fact, implement the IEP by providing Student with not one, but several different appropriate bookstands. 82. Student contends that District was obligated to implement the Coachella IEP by providing Student with a laptop, mouse and voice activated software. District contends these items were not actually offered in that IEP, and therefore that it was not obligated to provide them. District further argues that these items were not necessary to provide Student with a FAPE. In addition, District contends that its provision of human scribing services fulfilled Student’s educational needs served by these devices. 86. Student contends that District was obligated to implement the Coachella IEP by providing Student with a comparable chair. District contends that it complied with its obligations to implement the IEP. 3(b) (failing to implement Student’s last agreed upon IEP by failing to provide a laptop, mouse and voice activated software listed on the IEP, thereby denying Student a FAPE). 89. As a remedy for District’s failure to appropriately assess Student’s needs in the areas of OT (Issue 1 (b)) and AT (Issue 1(c)), Student requests that District fund IEEs in those areas, and further requests that the evaluations be conducted “out of town by highly qualified and experienced professionals.” As a remedy for District’s failure to state how supplementary aids and services will be implemented (Issue 2 (f)), Student requests that a new IEP be developed that includes such information. As a remedy for District’s failure to implement the August 28, 2009, IEP’s offer of a laptop with mouse and voice activated software (Issue 3 (b)), Student requests that District immediately provide this equipment, with training on its use. 91. Based upon the equitable considerations and the Factual Findings of this decision, Student is entitled to an appropriate remedy for District’s failure to assess Student’s needs in the areas of seating and modified furniture, specifically “seating and positioning, reading, and learning and studying” (the omitted portions of the WATI). Based upon the equitable considerations and the Factual Findings of this decision, Student is also entitled to a remedy for District’s failure to make an offer with respect to seating, bookstands or other modified furniture. Student’s physical discomfort, his need to turn his head in certain positions to focus due to his strabismus, his need to read at eye level, and his need to accomplish the above independently, if and when independence is reasonable and practicable, should have been assessed, and appropriate equipment or products that were designed to increase, maintain, or improve his functional capabilities should have been considered. 92. District will therefore be required to fund independent OT and AT assessments. Under the time limits set forth in the Order below, District shall contract with a qualified independent OT assessor of Student’s choice and with a qualified independent AT assessor of Student’s choice, and shall pay the independent assessors directly to perform and prepare assessment reports. District shall pay for the independent assessors’ attendance at IEP team meetings. 94. For denying Student a FAPE by failing to state how supplementary aids and services would be implemented, (Issue 2 (f)), District shall, following IEE assessments, convene an IEP to address Student’s special education and related service needs in the areas of AT and OT. At that time, the IEP team shall consider the assessment results and decide upon appropriate services for Student designed to address his unique needs. When a parent obtains an IEE at public expense through a request to a school district, or shares the results of a privately funded assessment, the results must be considered by the school district in any decision about the provision of a FAPE to the child if the assessment meets agency criteria. (34 C.F.R. §300.502(c); Ed. Code, §56329, subd. (b) (incorporating 34 C.F.R. §300.502 by reference).) Accordingly, it is appropriate to require the parties to attend an IEP team meeting to discuss the results of the IEEs obtained by Student as a result of this Decision. 95. Student is not entitled to any further remedy for District’s failure to implement the August 28, 2009, IEP’s offer of a laptop with voice activated software, (Issue 3 (b)), other than the remedies that District has already provided. Specifically, District provided Student with a laptop computer and voice activated software, on or about October 20, 2010, after the filing of the complaint. Thus, Student has already received the exact remedy that his complaint seeks. Student provided no evidence establishing that he has not already received the educational benefits that likely would have accrued from special education services District should have supplied in the first place. 1. District shall fund IEEs in the areas of OT and AT. District shall provide Student with agency criteria for conducting the assessments within 15 days of this decision. 2. Within 30 days of the date of this decision, Student shall inform the District of Student’s choice of OT and AT independent assessors, provided however that the “criteria under which the assessment is obtained, including the location, limitations for the assessment, minimum qualifications of the examiner, cost limits, and use of approved instruments must be the same as the criteria that the public agency uses when it initiates an assessment.” District and Student shall cooperate to facilitate the completion of the assessments pursuant to District criteria and payment procedures for IEEs. 3. After Mother provides District with notice that the IEEs have been completed, District shall convene an IEP to address Student’s special education and related service needs in the areas of AT and OT, at which time the IEP team shall decide upon appropriate services for Student designed to address his unique needs. District shall fund the attendance of the IEE assessors at an IEP, at a rate of payment consistent with existing District policy. Education Code section 56507, subdivision (d), requires that this Decision indicate the extent to which each party prevailed on each issue heard and decided in this due process matter. Student prevailed on the following issues: 1(b); 1(c); 2(f); 3(b). District prevailed on the following issues: 1(a); 2(a); 2(b); 2(c); 2(d); 2(e); 2 (g); 2(h); 2(i); 3(a); 3(c).